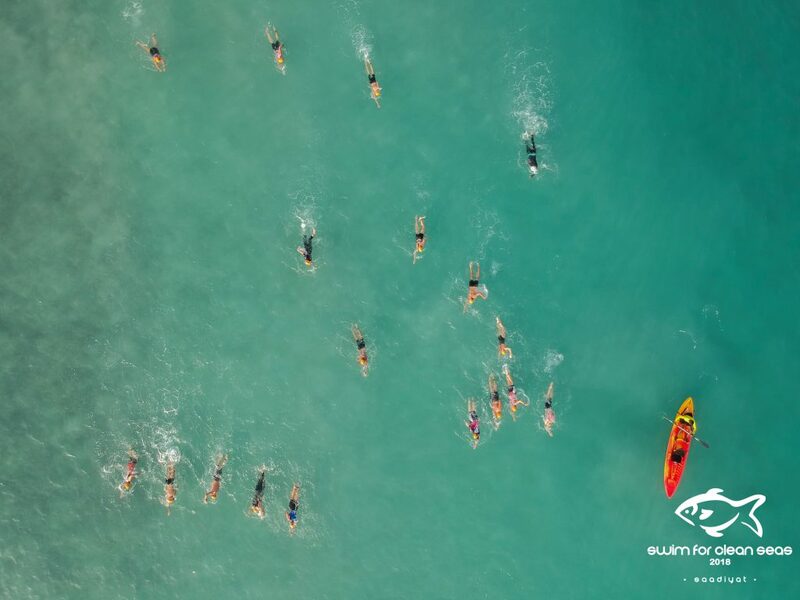 ABU DHABI – 27th March 2019: This Friday (29thMarch 2019) residents of Abu Dhabi will be taking to the water for a second consecutive year for the ‘Swim for clean seas’ event, which aims to raise awareness and promote cleaner seas and healthy lifestyles in Abu Dhabi. The event, which is being hosted by the Jumeirah Saadiyat Island Resort, will see participants of all ages and abilities swim distances of 400m, 800m or 1600m and includes interactive games designed to help kids learn more about the environment and the sea. Prior to the event there will also be a photo opportunity on Thursday 28th March at 3 pm at the Jumeirah Saadiyat Island Resort with two swim Ambassadors His Highness Sheikh Theyab Khalifa Al Nahyan and Sarra Lajnef, the first female Tunisian Olympic Swimmer. Started in 2018 by two keen open water swimmers, brother / sister duo Felicia Agmyren and Almer Agmyren, ‘Swim for Clean Seas’ aims to help raise awareness about the importance of keeping our seas clean by engaging the community in fun and interactive ways. The event will also feature various speakers and marine biologists to teach the community about the importance of keeping our seas healthy and clean.